Take Charge; Follow Our Plan; You Will Lose Weight! Most of our patients are women and we know women want to lose weight for very different reasons that are all very important. Common reasons are: medical concerns, wanting to get into “skinny jeans,” planning for weddings (and planning for divorces), family reunions, vacations, knee pains, or just plain sick and tired of being sick and tired. Whatever the reason our women patients come in our doors, they have made a decision and are ready to lose that weight once and for all in a safe and reputable environment. Express Weight Loss provides the expertise, education and support you need to reach and maintain your goals. We have the resources to help you achieve your ideal weight and body fat percentage within our facility and within our flexible programs. Our programs are designed specifically for women. After our practitioner designs a program specifically for you, our dietitian will educate you on how to achieve and maintain your goals for a lifetime. We understand your life is busy and we are happy to arrange times most convenient for you. Our standard programs for women include necessary testing (blood work, EKG, urine analysis, body fat analysis) and a visit with one of our practitioners to ensure your program is safe. They will set you up with a program that will work specifically for you. You will receive everything you need to succeed in the program, personalized low-calorie meal plans, prescription medications from our on-site pharmacy (if appropriate), nutritional supplements…etc. We offer group meetings with our nutrition educator and with other clients that have similar goals to discuss strategies and tips to keep you motivated and on track. To personalize your program further, you can meet with our registered dietitian and together you will carve out a meal plan that will help you lose your weight at a safe and efficient pace using foods that suit your taste and budget. When you get close to your goal weight, we will modify your custom meal plan into a meal plan for life to keep you at your healthy weight forever. Studies show Estrogen helps regulate body weight. With lower estrogen levels after menopause, there is a tendency to eat more and be less physically active. Reduced estrogen may also lower your metabolic rate; the rate at which the body converts stored energy into working energy. You lose muscle mass, which decreases your resting metabolism, making it easier to gain weight. Lack of estrogen may also cause the body to use starches and glucose less effectively (insulin resistance) thus increasing fat storage and making it more difficult to lose weight with age. 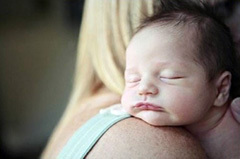 At Express Weight Loss, we understand that your time is limited as a new mother. Our goal is to assist you in dropping that stubborn baby weight through our weight loss programs for women. We provide unique exercise programs and meal plans that help you achieve an overall level of personal fitness and health. If appropriate, we can offer Lipotropic and Vitamin B Injections that can improve your sleep, combat moodiness, breakdown fat and give you a great boost of energy! New mothers can participate in our customized weight loss program as early as six weeks after giving birth.